UP Home Guard Syllabus 2018 Check Home Guard Question Papers in UP For 19,000 Home Guard Selections. Question Paper Standard of UP Home Guard Exam is 10+2 level. More details on UP Home Guard Previous year paper is integrated below. UP Home Guard Syllabus 2018 Recently Home Guard Vacancies is updated with whopping 19,000 Openings. The Unemployed in Uttar Pradesh have a chance to complete their part-time jobs in to a full time mode. In this prime portal we gives you analysis of selection in UP Police as a Home Guard vacancy in UP. Home Guard syllabus is not as difficult as Head Constable of UP Police. UP 19000 Home Guard Recruitment 2018: In November UP Home Guard Bharti Starting and Minimum age matter to 18 years and maximum age limit does not matters to Home Guard working in UP police. But relaxation is applied to SC ST OBC and Female CANDIDATES who make career in Home Guard Recruitment in UP 2018. UP Home Guard Physical Date 2018: After filling online application form candidates will be called to attend written exam, Physical Date, Document verification and Medical Test. 1. Separate Physical Test Organized for Male Female Home Guard Running, Physical Efficiency Test. 2. According to Educational Qualification Marks will be allotted. 3. NCC Students, National Level Player, (Highschool+ Intermediate+ Graduation). 4. Additional Marks Allotted to Technical Diploma, Driver (Vahan Chalak), Tradesman, Mate. UP Home Guard Admit Card 2018: Call Letter issued to Selection on Attending Exam, Giving PET TEST, and PMT Test. 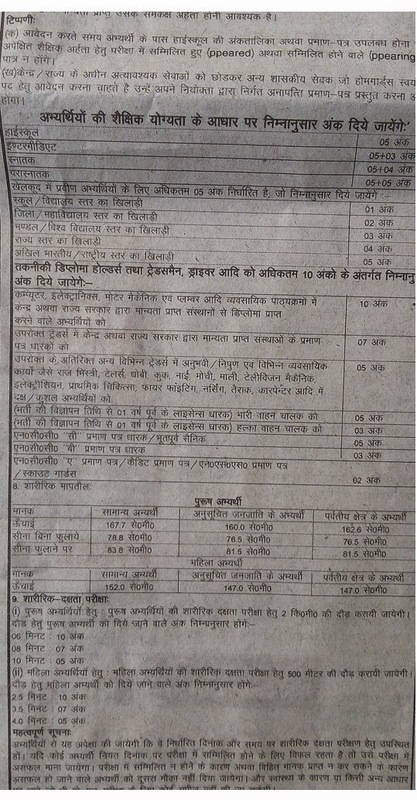 You can download Call letter/Hall Ticket from Uttar Pradesh Police Recruitment and Promotion Board website. Total Number of Vacancies: 19000.